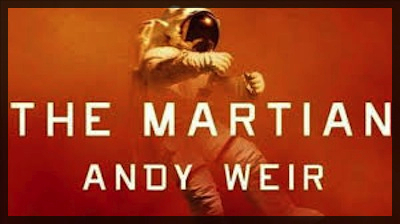 If you love taking things apart and seeing how they work, if you had a soldering iron in middle school because you actually needed it for your various hobbies, or if you are obsessed with duct-taping solutions to life’s many problems, The Martian by Andy Weir is the perfect science-based thriller for you. In Weir’s not-too-distant future, NASA has successfully sent two manned missions to Mars. The Martian focuses on the third Mars mission attempt, which goes badly in the most unpredictable of ways. Mark Watney, astronaut, botanist, and engineer, and protagonist is left behind when a dust storm causes the rest of the crew to evacuate in a blinded tizzy. Watney’s crew mates, thinking he has been mortally wounded, blast off the planet in the agreed-upon getaway craft, unwittingly leaving this single guy stranded on the Red Planet. Thus Watney becomes a sort of Martian himself, trying to frantically use all his knowledge in every clever, jury-rigged Survivorman-esque type trick in the book to stay alive until help can reach him. Sort of like the hardest test he’s ever taken, but hands-on, and often his oxygen, food, or water supply hangs in the balance. Billion dollar NASA-built equipment falls to pieces around him as he tries to push it past its intended use date or break it apart into more appropriate survival gear, and Watney plays genius-level whac-a-mole with complex problems in his struggle to stay alive long enough for rescue. I confess I’m not a big fan of biology and chemistry myself, which is a bit frightening to realize as they are the basic building blocks of life, right? What can I say, I’m just an arts and letters type of girl. I found The Martian slow to get into as Watney tells his story through journal entries, detailing complex explanations and calculations of the many processes which Watney must depend on to survive, which went right over my head. I’m sure this aspect of the book was a welcome change from the usual thriller for the more skeptical among us, who are constantly bombarded with miraculous feats of survival with no explanation or logic behind them. If you wonder where the science is in much of your science fiction, its right here in The Martian, waiting for you. The premise of The Martian is such an intriguing one that the book is difficult to resist, as the idea of a man being lost on an uninhabitable planet with only science to save him is haunting–there’s power there, as we made it to Mars, and then there’s fear there, as while we made it to Mars, we couldn’t make it back. As a firm grasp of science in the book is what makes the trip to Mars possible, that idea is then twisted when Watney must use those same skills, as an engineer, to harness the resources of a hostile planet and make it habitable. Can science dig us out of the messes we use it to plunge into? Watney, alone on Mars, armed with engineering and botany degrees and the supplies his team abandoned, attempts to answer that question.